Hartford, CT (May 22, 2014) – Bike Walk Connecticut has launched a new effort to help make it safer and easier to walk and bike by implementing “complete streets” in cities and towns across Connecticut. The project is funded through a federal grant administered by the Connecticut Department of Public Health (DPH) to promote statewide implementation of policies and actions to promote health and prevent and control chronic diseases. The link between complete streets and health and disease prevention is physical activity. Complete streets make it easier and safer for people be more physically active by getting around on foot or by bike. Complete Streets are streets that are designed to be safe for everyone to use. Complete Streets make it easier and safer to walk and bike to work, to school, to transit, for errands, or just for pleasure and exercise. Connecticut’s Complete Streets law (Conn. Gen. Stat. §13-153f) requires pedestrians, cyclists, and transit users to be routinely considered in the planning, designing, construction and operation of all roads. This effort will help communities implement aspects of this law. As part of this initiative, Bike Walk Connecticut will conduct a statewide public opinion survey of the bike- and walk-friendliness of Connecticut’s cities and towns, develop an inventory of towns that have bike/pedestrian task forces and plans, and assess the degree to which those plans are being implemented by their respective towns. Bike Walk Connecticut will publish a town-by-town scorecard early this summer, ranking cities and towns on their bike- and walk-friendliness. The survey and scorecard are expected to be conducted annually. Implementing complete streets in Connecticut’s 169 towns will require citizen involvement, local leadership, and collaboration with town planners, engineers and public safety officials. To that end, Bike Walk Connecticut will also host an initial workshop to bring together people from communities that are already working to implement complete streets with others who want to make their own towns better places to bike and walk. This initiative is made possible through the financial support of the DPH through Cooperative Agreement 1305 from the Centers for Disease Control and Prevention (CDC). 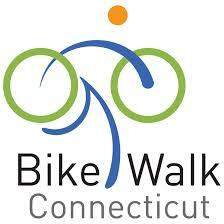 Bike Walk Connecticut is a statewide, member-supported 501(c)(3) not-for-profit organization that works to make Connecticut a better place to bike and walk. For more information and updates on this Complete Streets Initiative, visit www.bikewalkct.org or contact Executive Director Kelly Kennedy at Kelly.Kennedy@bikewalkct.org.